Inspire, Educate and Entertain. The mission of the Breckenridge Film Festival is to enrich lives through the ideas and emotions inspired by the art of film making. Back for its 33rd year, the Breckenridge Film Festival is packing quite the punch this year. With more than 50 films screening at seven different venues throughout Breckenridge, attendees will not be disappointed with the assortment of independent films. For several years, this film festival kicked off summer activities. We’re glad that they chose to host the festival in the fall this year. We welcome filmmakers and observers from near and far to our charming mountain town. There are plenty of activities to enjoy during the day, so go out and soak in those beautiful golden aspens on a mid-day hike or take in the sights on a scenic drive up Baldy Mountain. Plenty of visitors like to just take in the views from a bench facing the ski resort in the Blue River Plaza, just across the lawn from the Riverwalk Center. We hope you are moved, inspired and energized by the films selected for the 2013 Breckenridge Festival of Films! Enjoy! https://www.bestofbreck.com/wp-content/uploads/2015/08/Friday-Sep-20-2013.jpg 1500 1500 Employee Submissions https://www.bestofbreck.com/wp-content/uploads/2015/08/logo-332x156.png Employee Submissions2013-09-20 21:52:192015-08-10 21:57:59Snow, Snow and more Snow! The Grand Timber Lodge was everything we expected….pretty, vell taken care of, nice amenities, good restaurant, etc. We had read bad reviews on the Internet, but they proved NOT to be true. Staff was very friendly; helpful when we needed something. Summer is Winding Down. 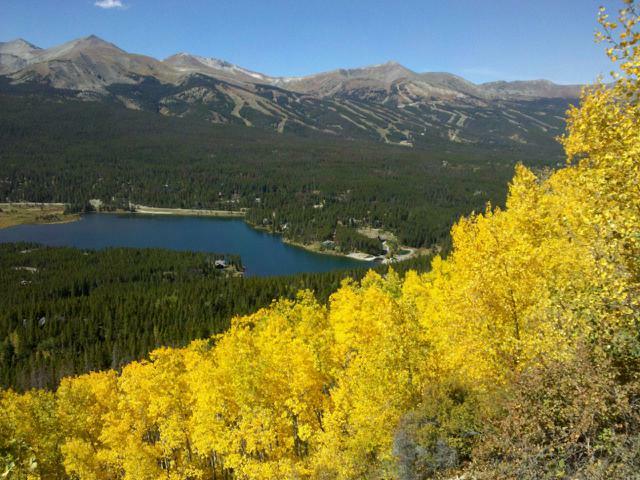 Fall into Breckenridge! For some, Labor Day weekend signifies the end of summer, the last weekend to get together with friends and family and enjoy the carefree nature and essence of summer. School is back in session, and for those of us that work in this quaint little ski town, it means time to prepare for the busy ski season ahead.But, before the hustle and bustle begins, there is still time to enjoy the outdoors. From the ever-famous Breckenridge Oktoberfest, late season rounds of golf, fall festivals, scenic drives and hikes through the golden aspens to two-for-one dining specials, there is enough to entice visitors to Breckenridge as fall rolls in. Golf in Breckenridge in the fall is something you surely want to experience. The cool, crisp mountain air, the wildlife roaming around the grounds, the thinner air that makes your ball soar down the fairway, will take you to your happy place. Find your swing at the only municipal Jack Nicklaus-designed, 27-hole golf course, the Breckenridge Golf Club. For discounted lodging and golf packages, click here! Rates as low as $109 per night, based on a 2 night stay with 2 rounds of golf! The Grand Lodge on Peak 7 Family Fall Festival is back in Breckenridge for the third year in a row. This year, the event will be hosted at the Grand Lodge on Peak 7 on Saturday, October 19th and Saturday, October 26th from 11 a.m. to 3 p.m. Double the pumpkins, candy apples and good old fashioned, family fun! There will be crafts, games, trick-or-treating and more! The event is open to owners and guests of the Grand Lodge on Peak 7 as well as the public. The onsite, eclectic Seven’s Restaurant will feature a fall-themed menu for both events. More information to come! Once October hits, Breckenridge will slow down for a short bit. Town will be a little quieter, but this is a wonderful time to taste your way through Breckenridge, as many of the local restaurants will offer 2-for-one dining specials. This is a great opportunity to experience the culinary delights of Breckenridge’s finest for half the cost. For a $10 donation, you can pick up a dining passport at the Breckenridge Welcome Center or at any of the participating restaurants. For more information, visit www.breckenridgediningguide.com. Pretty soon, snow will find its way back to Breckenridge! Do you have your ski pass yet? We’re giving several Epic Passes away over the next several weeks. Enjoy unlimited access to Breckenridge, Vail, Beaver Creek, Keystone, Arapahoe Basin, Eldora, Canyons, Heavenly, Northstar, Kirkwood, Alfton Alps, and Mt. Brighton! Even better this year, the pass also includes 5 days each at select resorts in Switzerland, Austria, and France! https://www.bestofbreck.com/wp-content/uploads/2015/08/Friday-sep-6-13.jpg 1500 1500 Mark Grattan https://www.bestofbreck.com/wp-content/uploads/2015/08/logo-332x156.png Mark Grattan2013-09-06 21:28:312015-08-10 21:33:06Summer is Winding Down. Fall into Breckenridge! Breckenridge Oktoberfest is Next Week! It’s time to break out your lederhosen and oversized steins again! 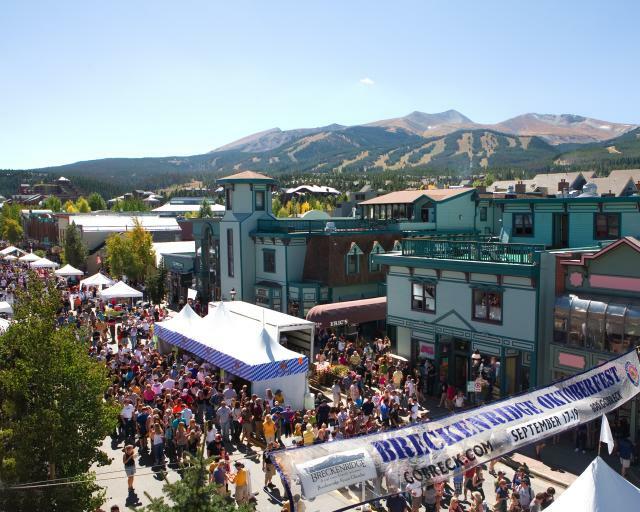 It’s time for Breckenridge’s 19th annual Oktoberfest celebration taking place next weekend, September 13th – 15th. Last year the powers that be decided to extend the party to 3 days starting the festivities on Friday. This year they are continuing the tradition so come up early and enjoy the extra day. Oktoberfest is Breckenridge’s largest street party where Main Street closes and is lined with booths brimming with traditional German food. There is music, dancing, Paulinar Bier and more. Breckenridge comes to life with traditional costumes, German food, Oompah and polka music, Bavarian dancers, children’s activities, a keg-tapping ceremony, 5k run and, of course, did we mention Paulaner Bier. The party starts next Friday the 13th at 2 p.m. and goes until 6 p.m. On Saturday for those interested in a little morning exercise there is a 5k trail run at 10 a.m. on Saturday morning. Don’t worry! You can get back to drinking right after as the Main Street Party starts at 11 a.m. both Saturday and Sunday. Don’t forget to get your stein sooner than later. Steins generally sell out before Sunday and they will not get more. Oktoberfest is a no pet event so please leave the critters at home. For more information and to pre purchase steins visit http://www.gobreck.com/events/breckenridge-oktoberfest. 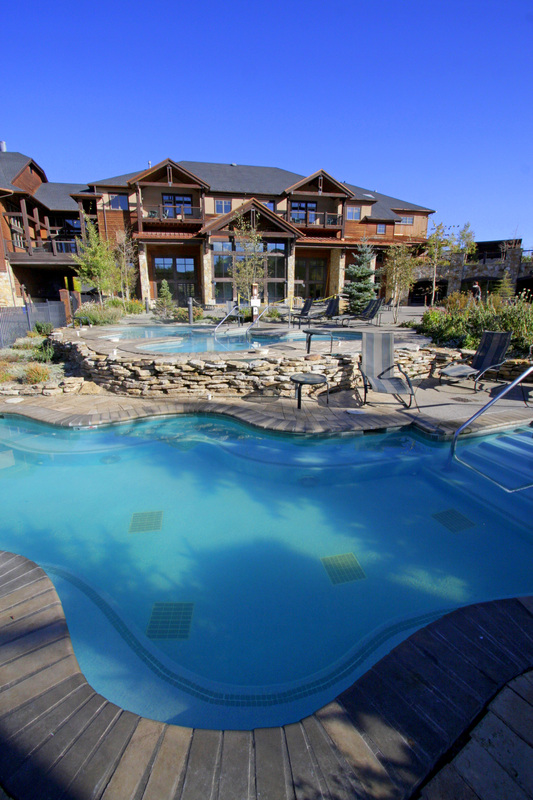 For the best deals on Breckenridge Oktoberfest lodging, visit www.breckenridgediscountlodging.com. https://www.bestofbreck.com/wp-content/uploads/2015/08/Friday-Sep-6-2013.jpg 1500 1500 Mark Grattan https://www.bestofbreck.com/wp-content/uploads/2015/08/logo-332x156.png Mark Grattan2013-09-06 21:10:372015-08-10 21:28:10Breckenridge Oktoberfest is Next Week! We were thrilled to spot a large male moose as we rode the gondola down from our hike on the ski slopes. We rode up and down over the moose 3 times until we could figure out where he was located on the hill. We then went on foot for a Moose Hunt. We ended up with some great shots(with a camera). The gondola workers were so blase about the moose. But for us Arizonians, seeing a moose up close is very thrilling.